The Valley Metro Light Rail connects the downtown areas of Phoenix, Tempe, and Mesa. It runs every 15 minutes and costs just $2 per ride or $4 for an all-day pass, which also includes most buses. A one-mile trip in an Uber or Lyft will cost more than that! 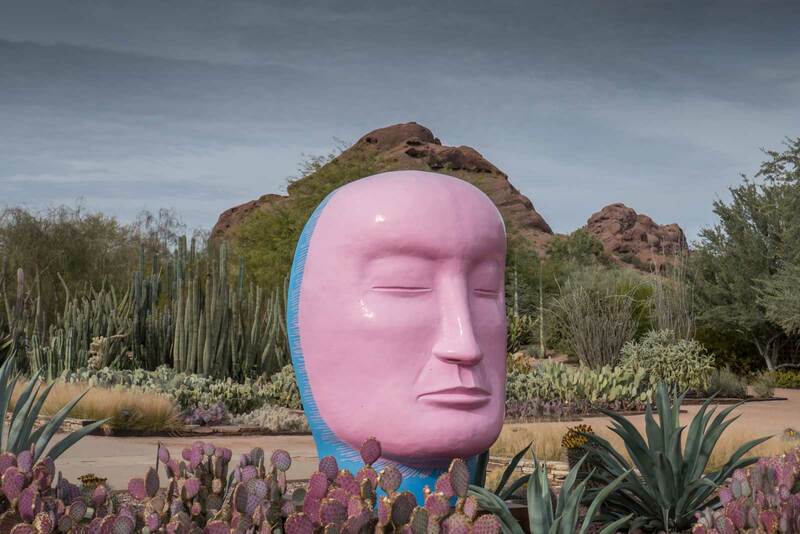 There are weeks worth of activities along the 35 light rail stops, but here’s a way to get the most of the cuisine, culture, and outdoor activities in the Valley of the Sun in a single day. In 2017, Phoenix-Scottsdale-Mesa ranked number 16 on the Forbes list of fastest growing cities in the United States. Phoenix is the most populous state capital in the United States and the fifth largest city in the country. 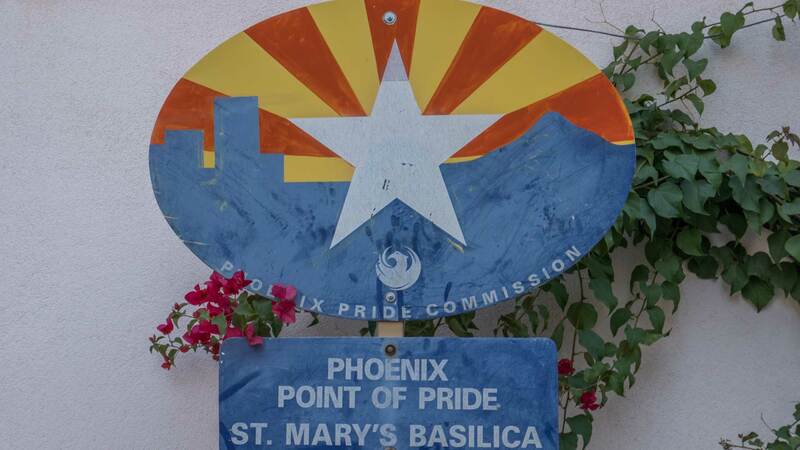 Also known as the Valley of the Sun, Greater Phoenix boasts more than 4 million inhabitants. Start your day off right at The Breakfast Club, located within the CityScape Phoenix complex in downtown Phoenix. The Breakfast Club is famous for their pressed juices, border bowl and of course, breakfast menu. Walk to First Street, make a left, cross Washington and make a right turn when you see La Piazza Locale. That alleyway between North 1st and 2nd Streets is known to the locals as Alley of the Arts. 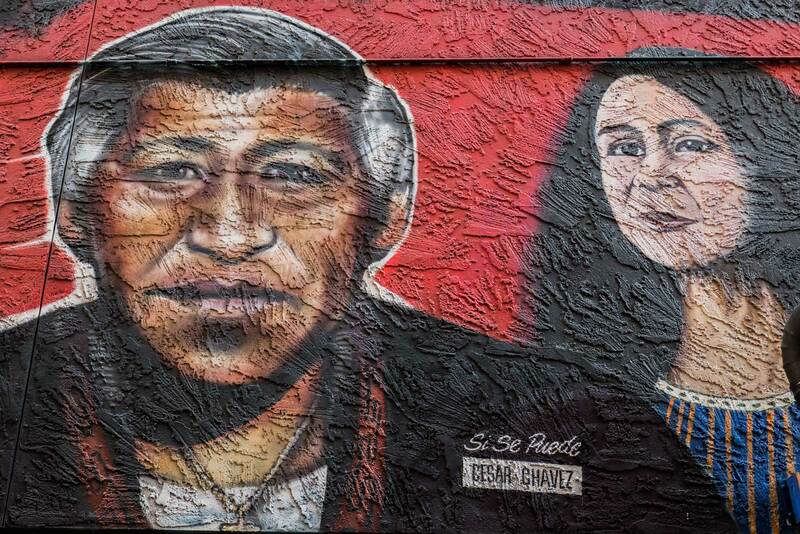 There, you’ll find murals of activists like Ceasar Chavez and musicians such as Carlos Santana and the godfather of Chicano music: Lalo Guerrero. At the end of the alley is 2nd Street. Make a left on 2nd Street, then a right on Monroe. When you come to 3rd Street, you’ll see Saint Mary’s Basilica which is the oldest Roman Catholic church in the Greater Phoenix area. It became a basilica after Pope John Paul II’s visit back in 1987. It’s still the only one in the Grand Canyon state. Continue east on Monroe Street. When you pass 5th Street, you’ll be at Historic Heritage Square. The only original residential structures from the original town of Phoenix are located within the square. There’s the Rosson House Museum, Arizona Science Center as well as two James Beard Award-nominated restaurants: Pizzeria Bianco and Nobuo at Teeter House. Nobu is ideal if you’re looking for something light or a refreshment after walking through the sometimes intense Phoenix heat. From Heritage Square, head south on 7th Street until you reach the first intersection, which is Jefferson. Turn right, and you’ll see the light rail stop at 3rd Street. Be sure to board the train heading to Mesa. Any visit to the Valley of the Sun is incomplete without checking out Tempe. Mill Ave/Third St will be the first light rail stop after you cross the Salt River. 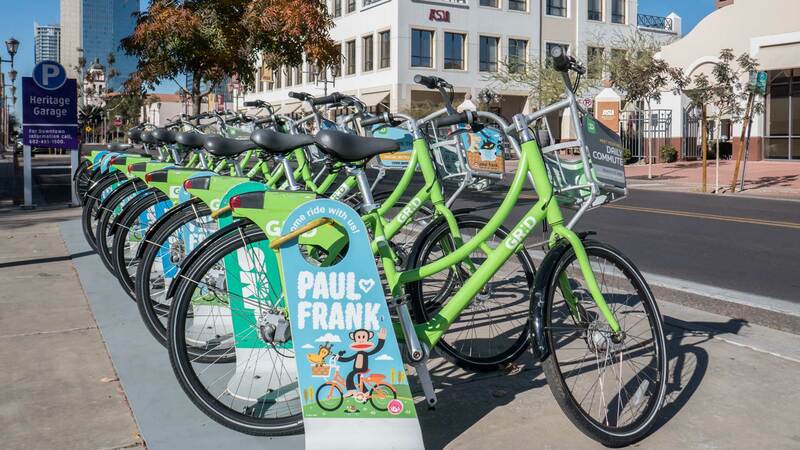 Get off there, grab a bike from the Grid Bike Hub kiosk, and check out Tempe Beach Park, which is just one block north. The area is ideal for cycling as there’s a path that runs along the river. 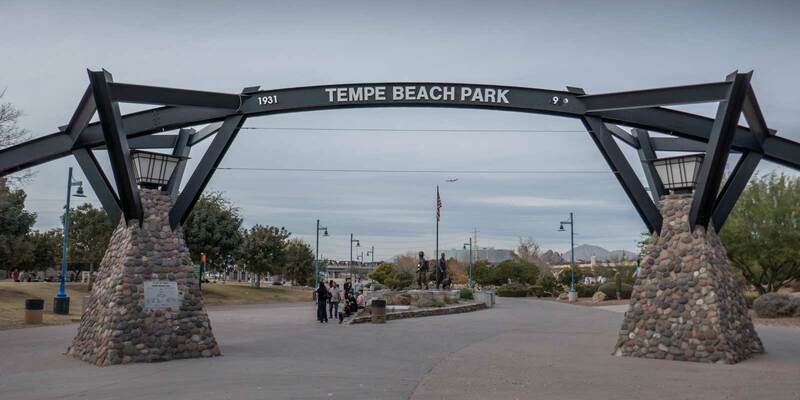 If you still have energy after exploring Tempe Beach Park, you can cross the Mill Avenue Bridge to Papago Park, where you’ll find a day’s worth of activities including Desert Botanical Garden, Rolling Hills Golf Course, the Phoenix Zoo as well as some of the best photo ops in the valley. If you make it to Hunt’s Tomb, you’ll be treated to a breathtaking hilltop view of the valley. The park is spread out over nearly 1,500 acres and two cities, so it’s best to use your bike if you want to even begin to cover some of the ground. 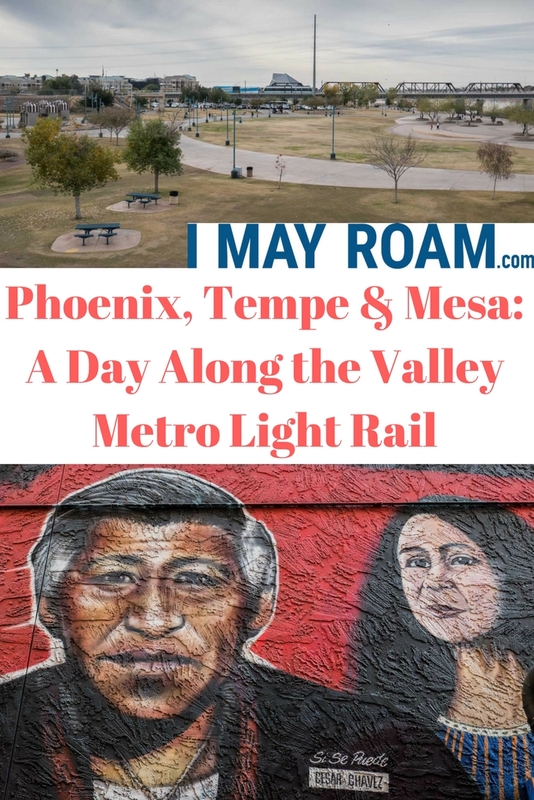 At the southwestern end of Papago Park, there are light rail stops along Washington Ave., where you can leave your bike and board the train towards Mesa. There are amazing Asian restaurants throughout the valley, but if you want to shop around and sample different types of foods from the world’s most populous continent, Mekong Plaza is the place to go. Get off at Sycamore/Main St., walk west to Dobson, turn left, and you’ll see the Mekong Plaza, where you can sample cuisine from China, Thailand, and Vietnam as well as the lesser-known flavors of Taiwan and The Philippines. If you’re looking to buy groceries to take back to Phoenix, the Mekong Supermarket is THE one-stop shop for Asian groceries. Read more about the food scene in Greater Phoenix here. There’s always some form of live music available in Downtown Phoenix. From major events at the Talking Stick Resort Arena and Chase Field to small clubs like the Crescent Ballroom and Cobra Arcade, there’s no reason to sit home at night if you don’t want to. From Mesa, take the light rail back towards Phoenix. Get off at Washington/Central, which will put you within walking distance of the majority of music venues and other nightlife. In addition to a plethora of live music venues, there are also several small lounges and pubs. The most eccentric is Melinda’s Alley, which has an easily missed (no sign) secret entrance off Central Ave. 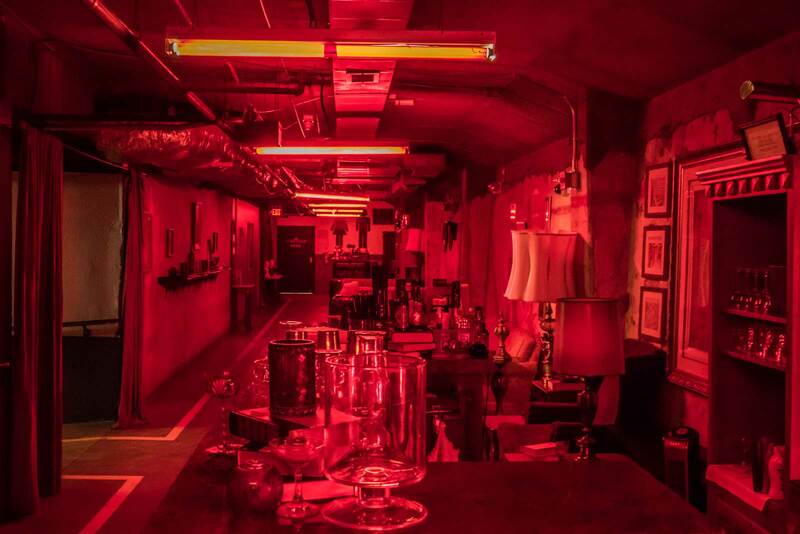 Located in the basement of the Renaissance Downtown, it’s modeled after a Prohibition-era speakeasy. On the inside, it’s distinguishable by its dim red lights. Upon entering, patrons will immediately feel like they are in on one of Phoenix’s dark secrets. I had no idea Phoenix was the 5th largest city in the states. I’ve been once before but I definitely need to return to properly check it out because I imagine it’s vastly different than it was in 2004! I certainly didn’t knew about Phoenix . Looks like its really a place to be explored . Adding it to my bucket list for sure. I’ve heard lots about Phoenix. It’s amazing that they could build such a successful city out that far into the desert. It looks like a great place to visit too. I tend to focus on the food and there’s plenty there to keep me happy! Phoenix has been on my travel list for ages. Such a shame i don’t live in the US, it would make it easier! Sounds like their is so much to see! This is totally new place for me to explore it. Anyway thanks for all lovely clicks. I have no idea why I never thought of putting Phoenix into my bucketlist. The place looks so amazing. Mekong Plaza and Cityscape breakfast club looks worth visiting. Thanks for sharing it. I have never thought about visiting Phoenix, but you have definitely raised my interest. It seems like an amazing city to visit! My brother in law lives in Phoenix and he said there is something for everyone. I loved seeing all of your photos! Brian, thanks for featuring Valley Metro Rail! Glad you enjoyed your visit. There’s much to do here! Besides great food & music, check out the arts, museums & shopping spots along the line. You can connect from Sky Harbor International airport to our system. Also note that each of our 35 rail stations reflect the communities they serve with their own unique public art. Visit valleymetro.org for more! I havent been to Phoenix but have been to Tuscan and loved it! That breakfast photo just got me and i am definitely visiting there next ! Phoenix looks like a great place to explore. I’ll definitely have to consider visiting once I start traveling more. What an interesting place! It has its own unique beauty and i bet there are still many sites here that are waiting to be discovered. Phoenix seems like a great destination, definitely have to add it to my list! Had no idea you could explore Phoenix by light rail. Always pictured it as more of a destination where you would have to drive. Sounds like an interesting city.